NONPROFIT UPDATE -- Please note that EPAC (Lodge Arts Center Inc) is now a 501c3 entity as of October 2017!! Prominent display of your business logo on all advertising & promotion of every single event. Prominent display of your business name on all advertising & promotion of every single event. Purchase a seat for you or to commemorate a loved one as an official plaque on display at EPAC and in future program guides. Let us know who you would like to designate as the official name on the plaque. 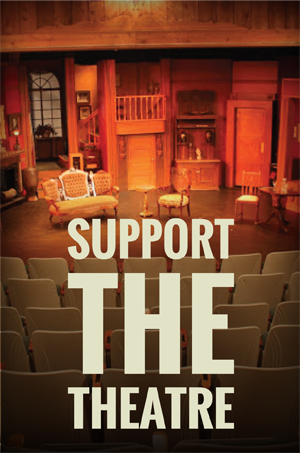 ​Corporate and Individual sponsorship of EPAC gives businesses and individuals a unique opportunity to partner with one of Halifax County’s premier performing arts organizations. We call this relationship a partnership because of the valuable exchange between corporations and The Lodge. As we approach our inaugural season, the Lodge Stages will open with critically acclaimed and long awaited programming, which will allow corporate sponsors unprecedented opportunities for corporate entertaining and building brand awareness through marketing and multi-media press exposure. A Lodge Stages corporate sponsorship package provides a number of targeted opportunities to build your company profile through access to The Lodge’s diverse, loyal, and affluent patrons, featured status in The Lodge’s marketing campaigns, opportunities to entertain your employees or clients in Halifax County’s newest and hottest arts space, as well as valuable benefits for your executives and employees to experience the great cannon of American work that The Lodge will produce in every season. The Lodge Stages takes great pride in creating unique and tailored benefits packages for each of its corporate sponsors and donors, depending on the needs and desires of the corporation. Benefits may include, but are not limited to, opening night performances, cast parties, gala invitations, season subscriptions, program and website recognition, official sponsorship, and other special events. Guaranteed Public Visibility: Your company logo will be visible in all upcoming posters, flyers, banners, newspaper listings and any other public printed marketing media throughout the Eastern NC region. Priority Playbill Advertising: Your company will receive a full-page priority playbill placement. Website Priority Placement: Your company will receive a listing with a link and icon on our website partner page. Live Advertisement: For more substantial sponsorships, a live announcement of the sponsors is made before each show. Please contact Susanna Martin, Executive Director, at (201) 401-4234 or email susanna.martin@gmail.com.